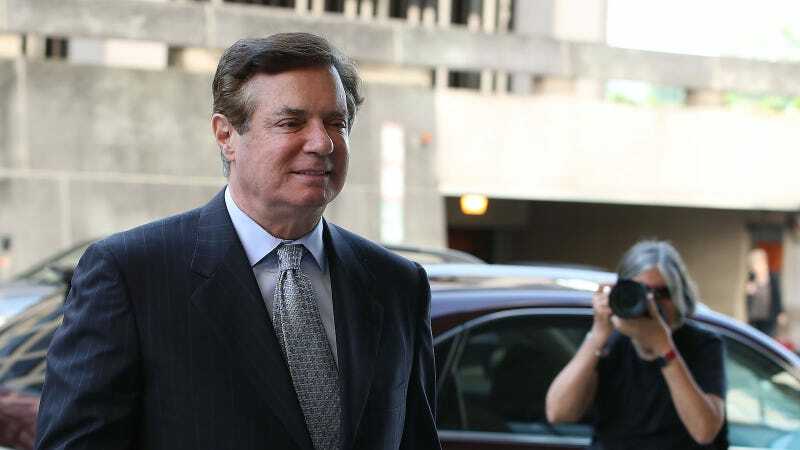 In addition to charges of money laundering, bank fraud, tax evasion, conspiracy against the United States, and other crimes, former Trump campaign chairman Paul Manafort is accused of asking witnesses to lie for him at his upcoming trial. Federal prosecutors working with Special Counsel Robert Mueller are asking a judge to hold Manafort in jail until the July trial. Manafort is currently under house arrest with a $10 million unsecured bail. Mueller’s team has alleged that Manafort lobbied for Ukrainian officials without the U.S. government’s knowledge and then laundered the money, amassing $30 million with a multi-year scheme that included bank fraud. “Basically P wants to give him a quick summary that he says to everybody (which is true) that our friends never lobbied in the US, and the purpose of the program was [European Union],” Person A said. In previous filings, Person A has been used to designate Konstantin Kilimnik, a Manafort associate who prosecutors believe has ties to Russian intelligence — something Kilimnik has denied. As Jezebel reported on Friday, Manafort’s allies are now asking the public to donate money to pay for his mounting legal fees. Like everything else that Manafort touches, the fund is very suspicious.